SOLD. 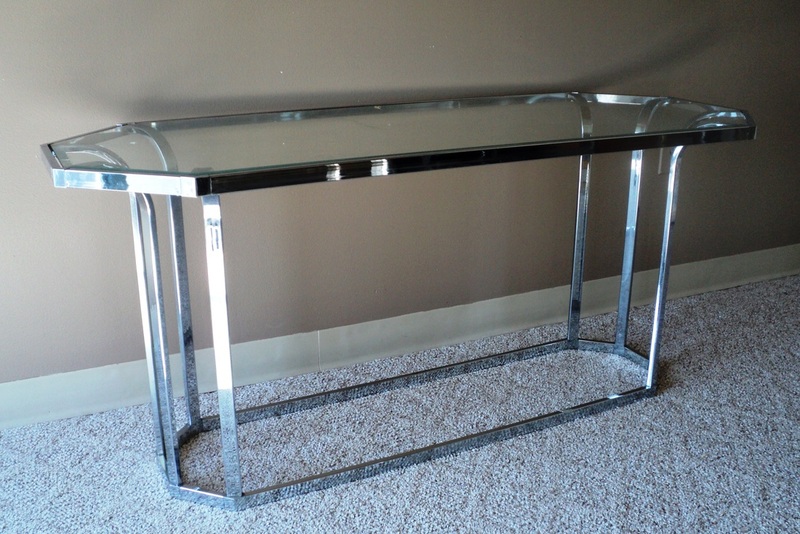 Hollywood Regency Style Angular Chrome & Beveled Glass Console Table. 1970s/USA. 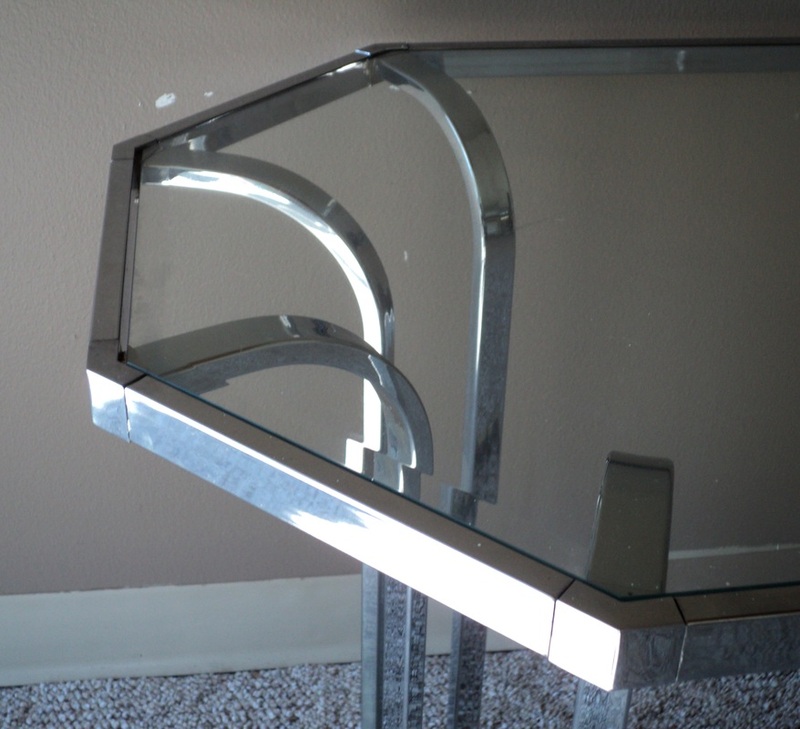 Flat Bar Chrome Plated Structure with Original Beveled Glass Insert. 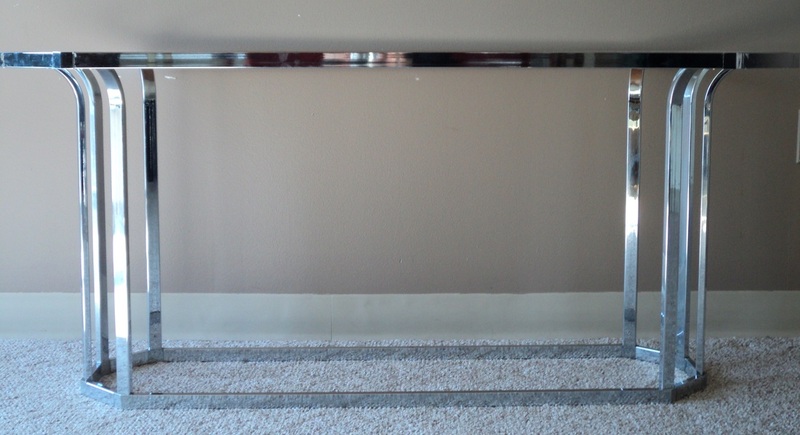 Dimensions: 54 x 22 x 23.75.